Batavia is a quaint little town that is located in Kane County in Illinois. The small city is packed with things to do and see, so you definitely do not want to experience tooth pain while here. Unfortunately, it can be a way of life for something negative to happen while you are on a trip such as tooth pain. If you find yourself having to skip the Fabyan Forest Preserve or the Peck Farm Park because of tooth pain, you should seek out emergency dental care. Don’t let tooth pain get you down, especially when there are plenty of emergency dentists in Batavia Township ready to help you. 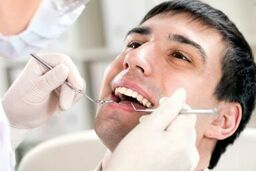 Emergencydentistsusa.com is committed to making sure that you have options available to you when you need them. Our team worked hard to compile a list of emergency dental providers in Batavia Township who can help you. These dentists are available and all you have to do is take a peek at our list online. If you do not have access to the Internet or you are in a hurry, you can call our toll-free dentist finder hotline at your convenience. We will help you locate a nearby emergency dentist and provide you with the information you need. Our team will even schedule your first appointment for you. A dental emergency cannot wait and it should not have to wait either. If you are in pain, you need to know that there is a dentist on hand to help you. Fortunately, Batavia Township is packed with emergency dentists who can aid you with your dental problem and provide you with the care you need. In addition, Emergency Dentists USA also provides lists of other dental providers such as orthodontists, periodontists, endodontists, and more. Description: When you want to receive the very best in dental care, choose John C. Koechley, DDS. Our team is determined to help you and provide you with the best emergency dental care. Whether you have a dental abscess or you are experiencing extreme pain, we will be there for you. Description: At PAcer Dental, we put your dental emergency above all else. We would never want to see our families in pain and we treat you the exact same way. We offer emergency dental services for children to adults. Our general care practice does focus on preventative care and we offer all treatment in a friendly and welcoming atmosphere. Description: At Dr. Thomas Skoumal, DDS, PC, we want you to know that we value our relationship with you. We know that you deserve the best in dental care and we strive to provide excellent services at all times. We offer a wide range of services from general dentistry to cosmetic services. We also offer emergency dental services should you find yourself in a situation where you have a painful tooth or even a dental abscess. Tooth pain is not fun and it can lead to serious problems if you do not correct it. If you have been experiencing dental pain for an hour or more, you should seek out emergency dental care immediately. Sometimes, dental pain is the first and only warning we will receive to alert us that something is wrong. If you have been involved in an accident that led to injury to your mouth, jaw, or head, you should visit the local emergency room first. Before you visit any new dentist in Batavia Township or anywhere else, you need to make sure that you check the dentist’s licenses and credentials to make sure he or she is legally allowed to practice dentistry and is who he or she says. To do this, you can inquire with the front office receptionist at your first appointment or you can visit the Illinois Dental Association website and perform a search of the dentist’s name.